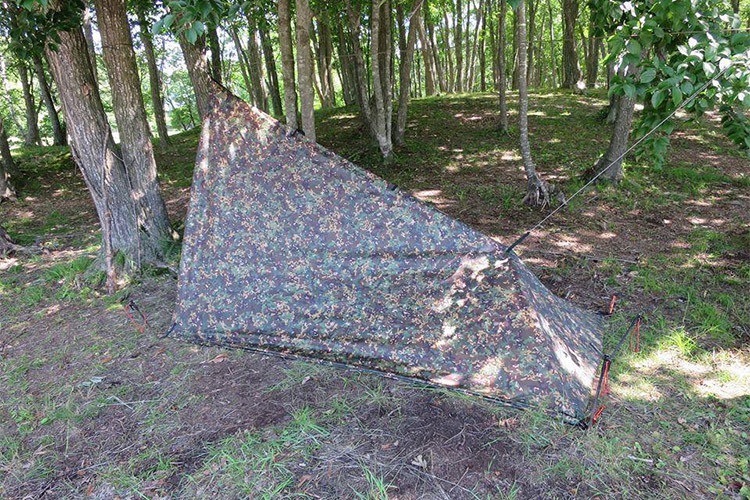 An interesting project involved designing a natural seamless camouflage pattern which is now DD Hammock’s own Multicam (MC). 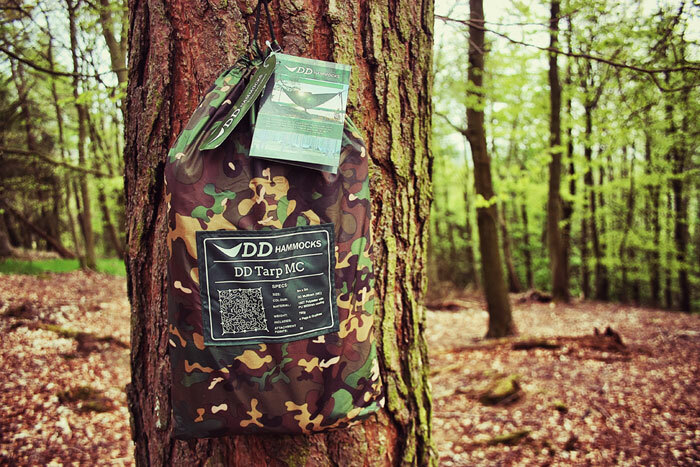 It has been successfully used on a number of products and has helped to increase DD Hammock’s recognition around the world. 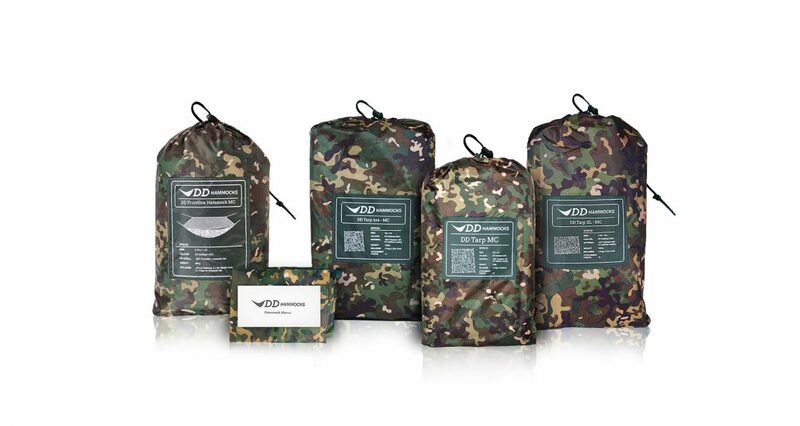 My research, meticulous design and testing spanned over 2 years. 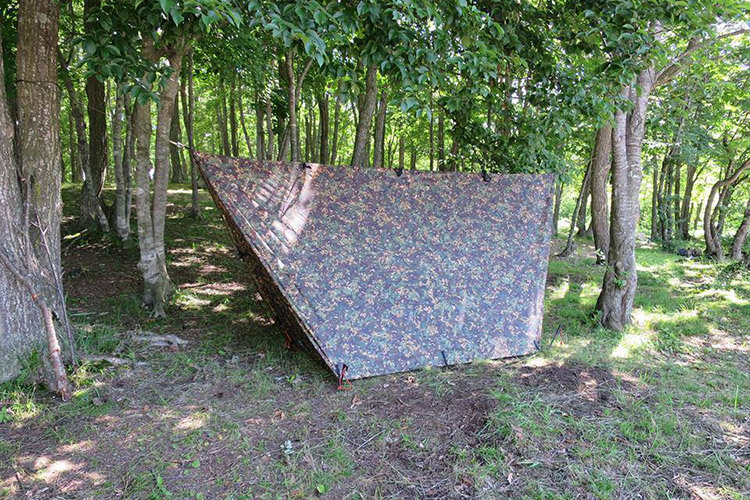 The pattern is designed to blend in with both woodland and mountain environments and was very well accepted by the worldwide bushcraft community. 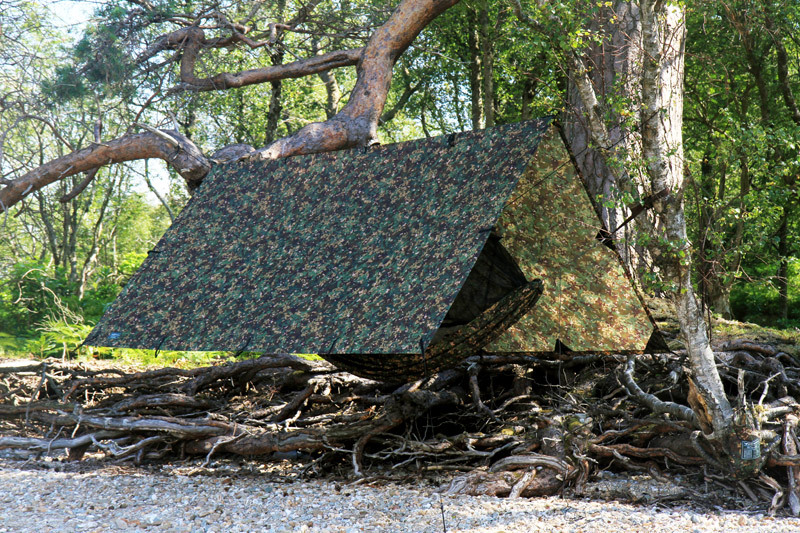 Above you can see a multicam tarp in-situ. 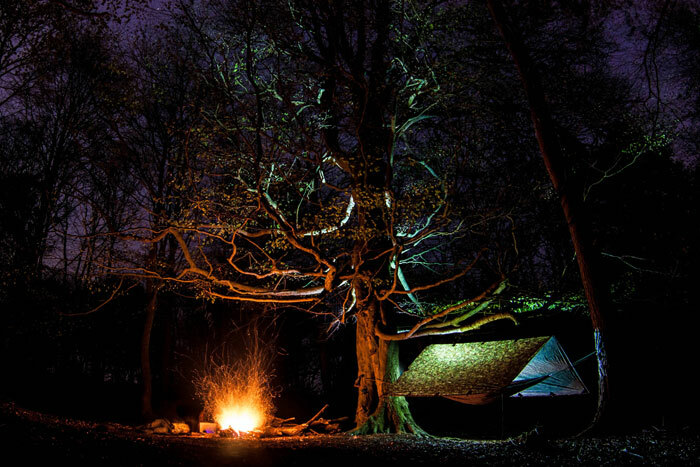 If you are not convinced that it works – try to find the tarp bag in the bottom right corner!